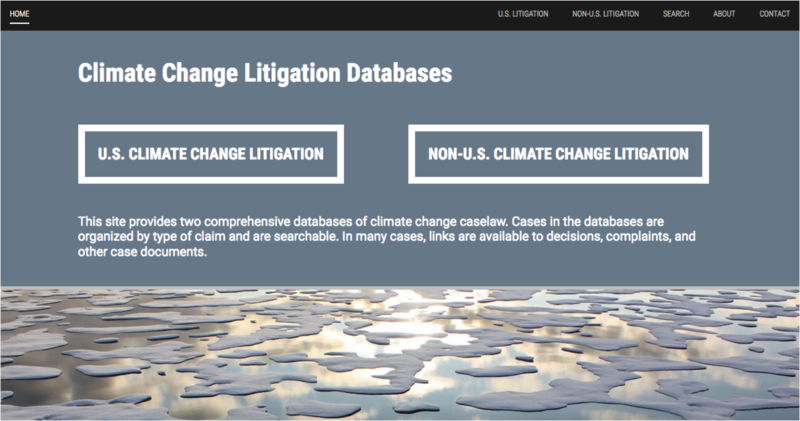 The Sabin Center for Climate Change Law, in collaboration with Arnold & Porter Kaye Scholer LLP (APKS), has officially launched a new version of its climate litigation charts at http://climatecasechart.com. The new website is more easily navigable and searchable than the prior version, and for many older cases includes updated information and documents. 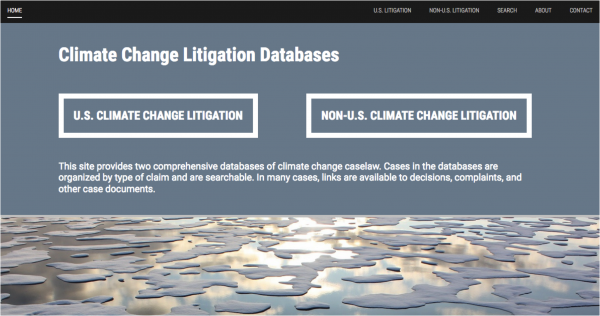 The new website provides a platform both for the U.S. climate litigation chart (a joint project of the Sabin Center and APKS) and for the non-U.S. litigation chart. The U.S. chart, created in 2007, tracks developments in domestic litigation and administrative proceedings related to climate change. It currently includes more than 700 cases with links to more than 2,000 case documents. Cases in the U.S. database are organized by type of claim and may be filtered by the principal laws they address, their filing years, and their jurisdictions. The database is also term searchable. The non-U.S. climate litigation chart was created in 2011 and currently includes 236 cases, with links to 205 case documents. The chart exists independently of, and serves as a direct source of information for the Climate Change Laws of the World website, a joint project between the Sabin Center and the Grantham Institute at the London School of Economics. If you would like to receive a monthly newsletter that includes updates to the climate litigation charts as well as other Sabin Center publications and information, you can subscribe here.